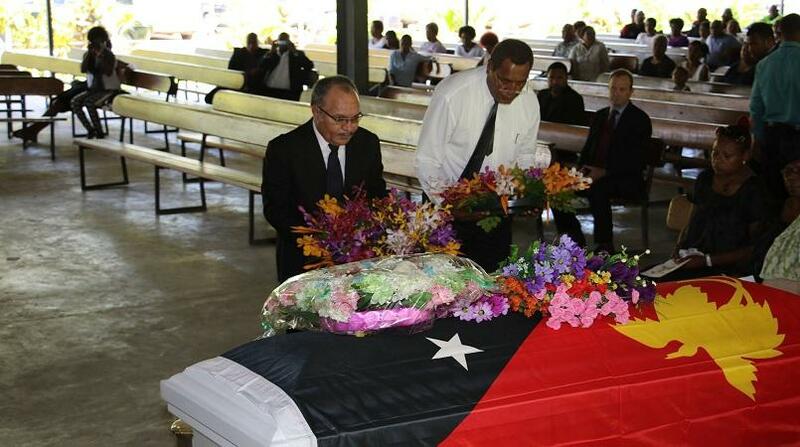 Prime Minister Peter O’Neill has commended the Late Susuve Laumaea, advisor to the Prime Minister and leading journalist, for his commitment to communications in Papua New Guinea. Attending the funeral of the Late Susuve Laumaea on Friday, the Prime Minister said he had a long working relationship with Laumaea, having first met him in the 1980s. “One of the many talents that he had was of course communications,” the Prime Minister said. “He was a great writer and the standards he has set in journalism in this country are beyond a lot of the writing we have today. “His writing was always fair, factual and always well researched, and that is how Susuve and many others have touched lives during that era. “We were very proud to have him as a member of our team in Government. The Prime Minister said the experience and knowledge that Susuve gained in the communications industry and in the public service has helped a lot in his work with the Government. 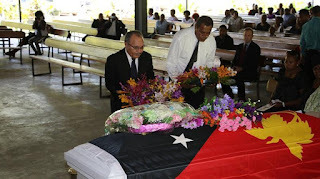 PM O’Neill thanked Laumaea for his services to the nation and the contribution he made as a journalist. He further thanked Laumaea’s family for sharing him and his time with the Government and the people of Papua New Guinea. O’Neill said the late journalist had many interests in life and he was pleased that his passion for snooker carried on until his passing. PM O’Neill said the Late Laumaea’s legacy will be the impact he had on journalism and communications in Papua New Guinea.